Lorna Sixsmith runs a dairy and beef farm in South East Ireland with her husband Brian James. They have two children (Will and Kate), two dogs (Sam and Lou), numerous farm cats, 120 cows plus fatteners, yearlings and calves. Lorna has been blogging for many years at LornaSixsmith.com and selfpublished her first book in 2013. She has now completed a trilogy. The books are also available in the UK in a number of farm shops and of course, on Amazon. lived in Wiltshire for almost 12 years, Brian was a scientist and and Lorna was a secondary school teacher. 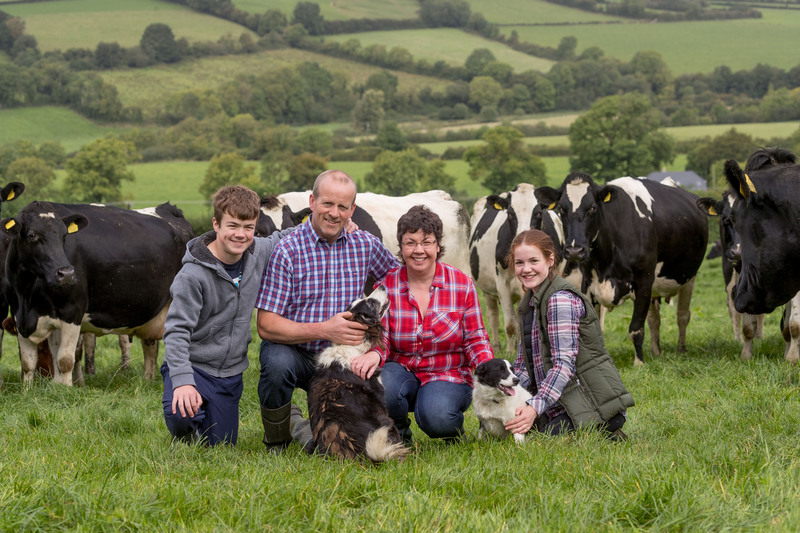 It was always presumed Lorna’s younger brother would farm but when he decided against it, her dad offered it to Lorna and Brian and they moved back to Ireland in 2002 when their first child was a tiny baby. The pair have a dairy and beef farm where thy will be milking 125 cows this year. They keep all male calves and finish them as beef either as bulls at 16 months or as steers at 22-24 months. They sell surplus heifers at a year old, usually just before the breeding season starts. “My year has fallen into a fairly regular pattern.,” says Lorna on the subject of organising her time. “Brian farms full-time and while I’m doing farming to some extent all year, my busiest months are February to April when it’s the calving season. 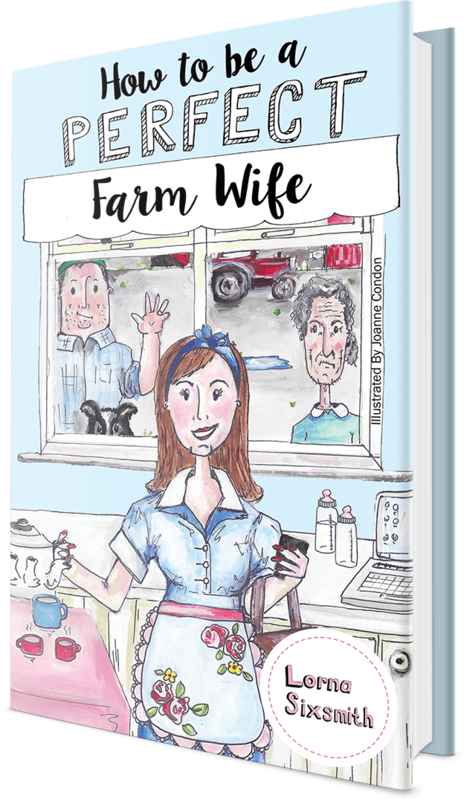 “I bring out a new book each year in time for Ireland’s biggest agricultural show in September so May to September is also busy writing, editing and producing the book (thankfully my editor, illustrator and printer are brilliant). “Then I’m straight into marketing the books, making sure all the farm paperwork is up to date and yes, anything else that needs to be done on the farm. In terms of books, Lorna’s biggest success so far is having sold 6000 paperbacks within the trilogy. “I’ve got good press coverage and am really pleased to be included in the February edition of the NFU Countryside magazine – it’s great to get some coverage in the UK as well as Ireland.” she said. 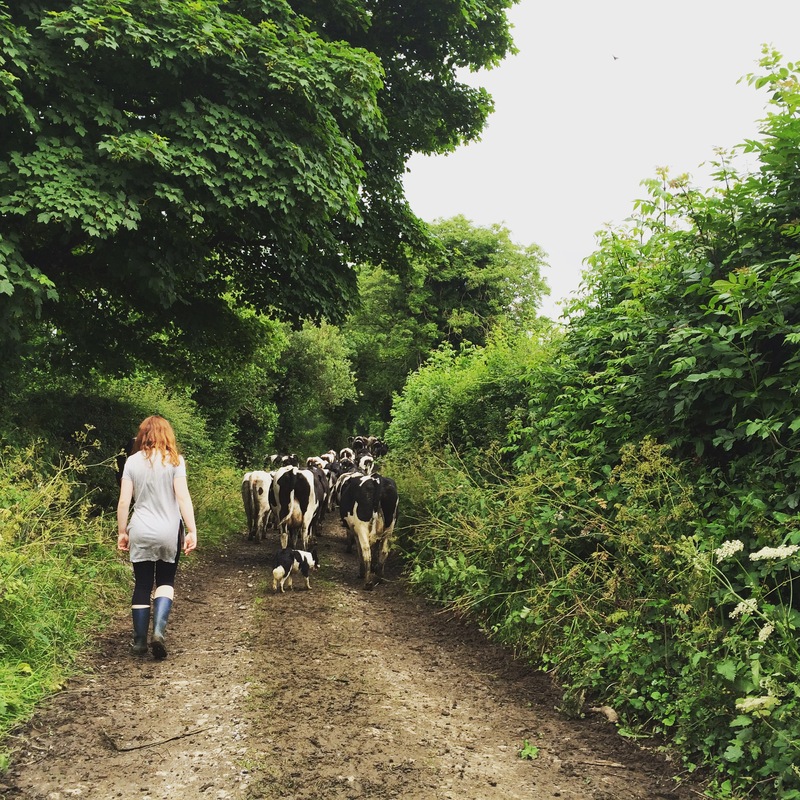 Lorna says the biggest worry to farmers in general at the moment is the effects of Brexit. “In Ireland, we export so much of our food to the UK but there’s no point in worrying about things outside our control. Lorna says she would love to see an appreciation of good food, especially regarding how it is priced in the supermarkets. 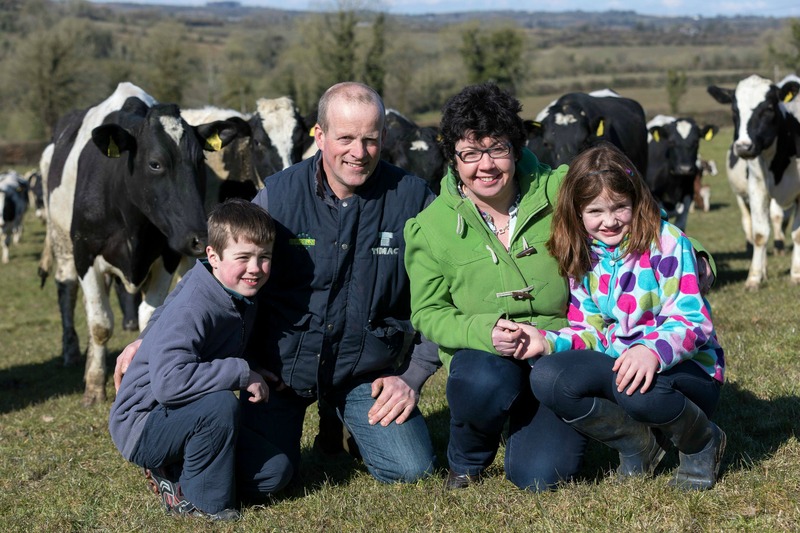 Lorna Sixsmith and Brian James pictured with their kids Will and Kate on the farm in Co. Carlow. I can certainly agree with most of that. You can catch up with Lorna on her website, LornaSixsmith.com through which you can also order her back catalogue of books. She is also on Facebook and Twitter.